This page is the complete description and details for the summer camp Welfare Coordinator position including job responsibilities, dates, wage, etc. At the bottom of the page you can apply online and download the complete pdf job profile. Responsible for: Welfare of all campers within an age group and parental communication about any issues regarding camper welfare. 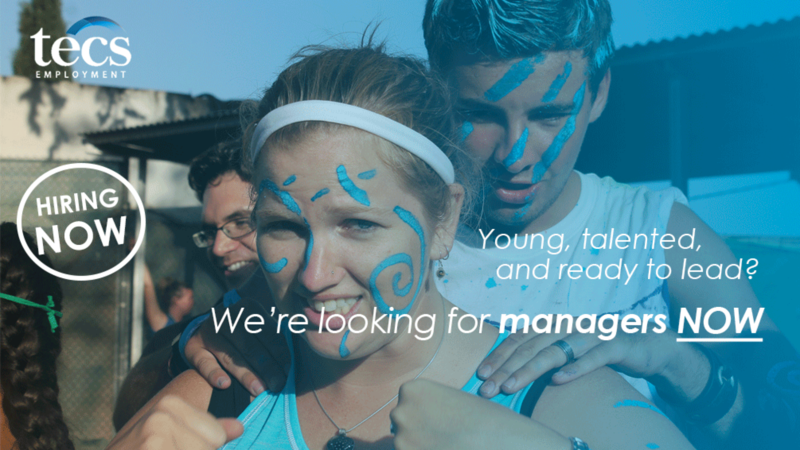 On TECS Summer Camps we take the welfare of our campers very seriously and for that reason we have this mid-management position. All of the staff (monitors, teachers, etc.) are responsible for the welfare of the campers in their groups or classes, the welfare coordinators role is to ensure the staff have all of the tools and support they need in order to properly care for their campers. The welfare coordinator will then act as the next port of call when welfare or discipline issues go beyond the ability of the staff member. The welfare coordinator is one of the few native Spanish speaking staff on our camps as not only will they sometimes need to talk to the kids in Spanish when needed, but they are also responsible for all communication with the parents on issues about their child. Perspective candidates should be Spanish with a very high level of English and have a caring and mature personality and a desire to utilise this in their work. Candidates should be young, or young at heart, and full of motivation and energy in order to meet the extraordinary demands of camp work. Candidates should enjoy, and be good at, helping others with problems and be effective communicators in English and Spanish. We prefer candidates who have a love of the camp environment, especially if they have been ex-campers or staff themselves. To provide a supportive emotional base for campers. To manage and supervise the welfare care provided by staff. To communicate with parents about problems and issues of age group campers. Communicate results of any discussion with parents or children to relevant people (staff members, fellow coordinators, directors). Insert and update welfare “observaciones” on the TECS Database. As required, phone parents of “problem” children to discuss how the child is getting on and what action is being taken to help the child settle in. At all times be available to help with emotional children in cases that the monitor and/ or teacher is incapable of comforting the child on their own. Morning and nightly check up on “problem” children and help to comfort them and find source of problem. This will include checking up on welfare and discipline issues in classes. As assigned and supervised by Camp Nurse, provide simple medical care to campers. With nurse, monitor that campers in the assigned age group daily take needed medicines. Monitor and document on a daily basis any welfare problems which are brought to your attention. Go with the campers for any hospital visits as required. Participate and manage Hygiene Check on Arrivals and mid- camp for age group. Provide support to other age groups when needed. Having the camp emergency mobile phone on them at certain points during the day and being ‘on-call’ once every second night. Meet daily with monitors and teachers and inform them of all matters related to the age group welfare. Receive info back from staff regarding welfare and discipline problems and take appropriate follow up action. Meet daily with Director and pass on any relevant information and request needed welfare and parental communication information. Meet daily with Activity and TEFL Coordinators to talk about all age group issues. Give fellow age group coordinators a brief resume daily of how all major welfare and discipline issues are progressing. Monitor staff performance in all welfare and discipline areas and give regular feedback to staff on their performance, both positive and critical, as relevant. At all times keep peer coordinators and Director informed of any staff issues you are aware of. At all times be responsible for making sure staff up hold camp rules and regulations. As required, support staff with any emotional problems they may encounter while on camp, making sure to communicate all problems to Activity and TEFL Coordinator. Making sure the nurse goes to see them. Accompanying them to hospital/ doctor as required. Ensuring needed medicines are picked up by Camp Drivers if staff member is not well enough to go to the pharmacy. Ensuring they are brought food at meal times. Regularly checking in on them to check how they are. Contribute to the planning of the training weeks. Run the welfare side of the familiarisation week, per age group, and also contribute and run other parts of training programme as needed. Familiarise yourself thoroughly with all parts of the job before the start of staff training. Reading the camp manuals, https://tecsemployment.com/manuals/, before your arrival. Supervise the welfare part of the getting up routine. Supervise phoning in and out time of assigned age group. Supervise shower time in assigned area. Supervise all parts of all meal times go smoothly: diets, serving, and quality of food and general control of campers. Monitor the calling in and out times of campers. Daily for first hour of class check up on problem children, as discussed with TEFL Coordinator, and check there are no problems. Supervise the welfare part of sports sessions. Supervise the welfare part of bonding sessions or evening entertainment preparation. Every second or third night, as assigned, is on duty night watch welfare coordinator, supervising the putting to bed procedure for age groups and providing welfare and discipline support as needed. Cover for the Nurse during these times for simple medical problems. Welfares must stay on site all night when on Night Watch. Act as Welfare Coordinator on one of the excursions at the weekend, which includes working the night time and morning routine of that excursion. The welfares are also responsible for taking the medical bag on excursion days and handing out medicines and dealing with minor ailments as required. On Arrivals, assist with admin “check ins” communicating with parents about welfare, health and other issues of children. On Departures, assist with admin “check outs” communicating with parents about any relevant welfare or TEFL issue. During all meal times, ensure campers are gaining the correct nutrition within their meals and eating well. Assist monitors/teachers with welfare and/or dietary issues. Give Ast. Director feedback on food quality. As needed, accompany children and staff on trips to the hospital/ dentist etc.. Speak English to the campers at all times unless Spanish is needed for welfare, discipline or medical reasons. Ensure the campers respect all camp facilities and equipment at all times and be responsible for ensuring the campers uphold the camp rules and regulations. Must wear uniform continuously: yellow TECS polo. Will have a bigger role in how the welfare area is running in all age groups. The hours of work for a Coordinator are not set and are instead dictated by daily events. All candidates should be prepared to have an open work schedule and be prepared to work long hours, particularly in the initial stages of camp, to get jobs/tasks finished. The Coordinator will have one day off each week at the weekend and usually on good days (i.e. ones with few problems) be able to take around a 2-3 hour break in the morning. Welfare Coordinators will be the night watch welfare responsible every second of third evening and be required to be on site all night on those days. They will be free at night (from end of putting to bed duties) on the other days. All staff are also always required to stay on site at night on pre-departure Fridays and on all Sundays. Experience of dealing with simple medical ailments of children is preferred but not essential. Candidates with relevant qualifications working with children will be viewed favourably. May be invited to attend our annual training planning weekend for managers where we focus on getting things ready for the summer, developing our management teams, and bonding the teams. The approximate date is 4th and 5th of May 2019. Arrive on Wednesday 19th June 2019. Management Training: 20th -24th June. Staff Training Week: 25th June – 29th July. Camp Work Start Date: 30th June(camper’s arrival)*. All meals will be provided from the beginning of management training weekend, and some but not all before then.